Although laparoscopic radical cystectomy has been the discussion of several reports, little attention has been given to the yield and extent of lymphadenectomy. We recently reviewed our technique and results with laparoscopic extended pelvic lymph node dissection (41). Initially, the bifurcation of the common iliac arteries constituted our proximal border (Group I). Commencing August 2002, our dissection included tissue overlying the proximal common iliac artery to the aortic bifurcation (Group II). The extended dissection required an additional 1 to 1.5 hours of operative time. Median number of nodes removed was 3 and 21 for Groups I and II, respectively (p = 0.001). Three patients in each group had pN+ disease. During extended pelvic lymph node dissection, an injury to a deep pelvic vein, managed with intracorporeal suturing, resulted in a 200 mL blood loss. Two other patients in this group developed deep venous thrombosis. There were no port site recurrences over a mean follow-up of 11 months (range, 2-43). ■ All patients undergoing radical cystectomy with curative intent should have a pelvic lymph node dissection. 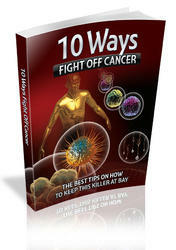 ■ A minimum of 10 to 14 lymph nodes should be removed and microscopically examined. ■ Although the proximal border of the lymphadenectomy is trending to migrate cephalad, with documented evidence of improved survival as more lymph nodes are removed, the true benefit of an extended dissection has not been demonstrated with well-designed prospective trials. ■ For the time being, albeit a limited experience, laparoscopic extended pelvic lymphadenectomy is feasible and results in nodal yields that are commensurate with current recommendations from conventional open surgical series. ■ Ours is only the initial experience and corroborating data from other centers are necessary before laparoscopic extended pelvic lymph node dissection can be considered to be adequate. Issues of tumor spillage and port site seeding have been raised as concerns regarding the oncologic safety of laparoscopic surgery. Specifically, after pelvic lymphadenectomy, there have been four reported cases of tumor recurrence at a port site (42). Three of the cases occurred after staging lymphadenectomy for bladder cancer (43) and the other after pelvic lymph node dissection for prostate cancer (44). In the cases associated with bladder cancer, the specimens were directly extracted through a port rather than placed in impermeable sacs. Furthermore, the cases were high grade invasive transitional cell carcinoma and associated with other predisposing events such as concomitant transurethral resection of bladder tumor, concomitant bladder dome biopsy, and insertion of a suprapubic tube because of hemorrhage during transurethral resection of bladder tumor and ruptured tumor bearing lymph nodes (43). Care should be taken to avoid incision into tumor-bearing nodes, especially in the setting of high-grade disease. Also, all lymphatic tissue should be immediately placed in an impermeable sac. ■ Currently, limited laparoscopic pelvic lymphadenectomy can be performed with comparable efficiency to open surgery. In the management of prostate cancer there is a vast experience with laparoscopic pelvic lymph node dissection. However, laparoscopic extended pelvic lymph node dissection for bladder cancer is a relatively recent development and further experience will be required to better define its role. ■ In general, surgical times for limited laparoscopic lymphadenectomy are equivalent or longer depending on the procedure and the experience of the surgeon. ■ Pelvic lymph node dissection for staging and prognosis, as is usually the case for prostate cancer, is not as technically demanding as a lymphadenectomy with therapeutic potential. As such, during radical cystectomy with curative intent, an honest effort must be made to perform as meticulous and rigorous an anatomic lymphadenectomy as is carried out with open surgery. ■ We believe that with growing experience and instrument development, laparoscopic extended pelvic lymph node dissection will be performed with equal efficacy to the open procedure. 1. Bluestein DL, Bostwick DG, Bergstralh EJ, Oesterling JE. Eliminating the need for bilateral pelvic lymphadenectomy in select patients with prostate cancer. J Urol 1994; 151(5):1315-1320. 2. Gibbons RP. The contemporary incidence of lymph node metastases in prostate cancer: implications for laparoscopic lymph node dissection. J Urol 1994; 151(4):1031-1032. 3. Raghavaiah NV, Jordan WP Jr. Prostatic lymphography. J Urol 1979; 121(2):178-181. 4. Gil-Vernet JM. Prostate cancer: anatomical and surgical considerations. Br J Urol 1996; 78(2): 161-168. 5. Wawroschek F, Vogt H, Wengenmair H, et al. Prostate lymphoscintigraphy and radio-guided surgery for sentinel lymph node identification in prostate cancer. Technique and results of the first 350 cases. Urol Int 2003; 70(4):303-310. 6. Wawroschek F, Vogt H, Weckermann D, Wagner T, Hamm M, Harzmann R. Radioisotope guided pelvic lymph node dissection for prostate cancer. J Urol 2001; 166(5):1715-1719. 7. Gervasi LA, Mata J, Easley JD, et al. Prognostic significance of lymph nodal metastases in prostate cancer. J Urol 1989; 142(2 Pt 1):332-336. 8. Bishoff JT, Reyes A, Thompson IM, et al. Pelvic lymphadenectomy can be omitted in selected patients with carcinoma of the prostate: development of a system of patient selection. Urology 1995; 45(2):270-274. 9. Han M, Partin AW, Pound CR, Epstein JI, Walsh PC. Long-term biochemical disease-free and cancer-specific survival following anatomic radical retropubic prostatectomy. The 15-year Johns Hopkins experience. Urol Clin North Am 2001; 28(3):555-565. 10. Clark T, Parekh DJ, Cookson MS, et al. Randomized prospective evaluation of extended versus limited lymph node dissection in patients with clinically localized prostate cancer. J Urol 2003; 169(1):145-147; discussion 147-148. 11. Partin AW, Kattan MW, Subong EN, et al. Combination of prostate-specific antigen, clinical stage, and Gleason score to predict pathological stage of localized prostate cancer. A multi-institutional update. JAMA 1997; 277(18):1445-1451. 12. Narayan P, Fournier G, Gajendran V, et al. Utility of preoperative serum prostate-specific antigen concentration and biopsy Gleason score in predicting risk of pelvic lymph node metastases in prostate cancer. Urology 1994; 44(4):519-524. 13. Bader P, Burkhard FC, Markwalder R, Studer UE. Is a limited lymph node dissection an adequate staging procedure for prostate cancer? J Urol 2002; 168(2):514-518; discussion 518. 14. Heidenreich A, Varga Z, Von Knobloch R. Extended pelvic lymphadenectomy in patients undergoing radical prostatectomy: high incidence of lymph node metastasis. J Urol 2002; 167(4):1681-1686. 15. Bader P, Burkhard FC, Markwalder R, Studer UE. Disease progression and survival of patients with positive lymph nodes after radical prostatectomy. Is there a chance of cure? J Urol 2003; 169(3):849-854. 16. Schuessler WW, Vancaillie TG, Reich H, Griffith DP. Transperitoneal endosurgical lymphadenectomy in patients with localized prostate cancer. J Urol 1991; 145(5):988-991. 17. Flowers JL, Feldman J, Jacobs SC. Laparoscopic pelvic lymphadenectomy. Surg Laparosc Endosc 1991; 1(2):62-70. 18. Steinberg AP, Gill IS. Laparoscopic radical prostatectomy: progress, problems, and promise. Contemp Urol 2002; 14(5):34-49. 19. Doublet JD, Gattegno B, Thibault P. Laparoscopic pelvic lymph node dissection for staging of prostatic cancer. Eur Urol 1994; 25(3):194-198. 20. Kerbl K, Clayman RV, Petros JA, Chandhoke PS, Gill IS. Staging pelvic lymphadenectomy for prostate cancer: a comparison of laparoscopic and open techniques. J Urol 1993; 150(2 Pt 1):396-398; discussion 399. 21. Lang GS, Ruckle HC, Hadley HR, Lui PD, Stewart SC. One hundred consecutive laparoscopic pelvic lymph node dissections: comparing complications of the first 50 cases to the second 50 cases. Urology 1994; 44(2):221-225. 22. Parra RO, Andrus C, Boullier J. Staging laparoscopic pelvic lymph node dissection: comparison of results with open pelvic lymphadenectomy. J Urol 1992; 147(3 Pt 2):875-878. 23. Schuessler WW, Pharand D, Vancaillie TG. Laparoscopic standard pelvic node dissection for carcinoma of the prostate: is it accurate? J Urol 1993; 150(3):898-901. 24. Herrell SD, Trachtenberg J, Theodorescu D. Staging pelvic lymphadenectomy for localized carcinoma of the prostate: a comparison of 3 surgical techniques. J Urol 1997; 157(4):1337-1339. 25. Stone NN, Stock RG, Unger P. Laparoscopic pelvic lymph node dissection for prostate cancer: comparison of the extended and modified techniques. J Urol 1997; 158(5):1891-1894. 26. Winfield HN, Donovan JF, See WA, et al. Laparoscopic pelvic lymph node dissection for genitourinary malignancies: indications, techniques, and results. J Endourol 1992; 6:103. 27. Vallancien G, Cathelineau X, Baumert H, Doublet JD, Guillonneau B. Complications of transperi-toneal laparoscopic surgery in urology: review of 1,311 procedures at a single center. J Urol 2002; 168(1):23-26. 28. Stein JP, Cai J, Groshen S, Skinner DG. Risk factors for patients with pelvic lymph node metastases following radical cystectomy with en bloc pelvic lymphadenectomy: concept of lymph node density. J Urol 2003; 170(1):35-41. 29. Vieweg J, Gschwend JE, Herr HW, Fair WR. The impact of primary stage on survival in patients with lymph node positive bladder cancer. J Urol 1999; 161(1):72-76. 30. Poulsen AL, Horn T, Steven K. Radical cystectomy: extending the limits of pelvic lymph node dissection improves survival for patients with bladder cancer confined to the bladder wall. J Urol 1998; 160(6 Pt 1):2015-2019; discussion 2020. 31. Leissner J, Hohenfellner R, Thuroff JW, Wolf HK. Lymphadenectomy in patients with transitional cell carcinoma of the urinary bladder; significance for staging and prognosis. BJU Int 2000; 85(7):817-823. 32. Herr HW, Bochner BH, Dalbagni G, Donat SM, Reuter VE, Bajorin DF. Impact of the number of lymph nodes retrieved on outcome in patients with muscle invasive bladder cancer. J Urol 2002; 167(3):1295-1298. 33. Stein JP, Lieskovsky G, Cote R, et al. Radical cystectomy in the treatment of invasive bladder cancer: long-term results in 1,054 patients. J Clin Oncol 2001; 19(3):666-675. 34. Konety BR, Joslyn SA, O'Donnell MA. Extent of pelvic lymphadenectomy and its impact on outcome in patients diagnosed with bladder cancer: analysis of data from the Surveillance, Epidemiology and End Results Program data base. J Urol 2003; 169(3):946-950. 35. Skinner DG. Management of invasive bladder cancer: a meticulous pelvic node dissection can make a difference. J Urol 1982; 128(1):34-36. 36. Smith JA Jr., Whitmore WF Jr. Regional lymph node metastasis from bladder cancer. J Urol 1981; 126(5):591-593. 37. Leissner J, Ghoneim MA, Abol-Enein H, et al. Extended radical lymphadenectomy in patients with urothelial bladder cancer: results of a prospective multicenter study. J Urol 2004; 171(1):139-144. 38. Herr HW. Superiority of ratio based lymph node staging for bladder cancer. J Urol 2003; 169(3): 943-945. 39. Herr HW, Donat SM. Outcome of patients with grossly node positive bladder cancer after pelvic lymph node dissection and radical cystectomy. J Urol 2001; 165(1):62-64; discussion 64. 40. Gill IS, Fergany A, Klein EA, et al. Laparoscopic radical cystoprostatectomy with ileal conduit performed completely intracorporeally: the initial 2 cases. Urology 2000; 56(1):26-29; discussion 29-30. 41. Finelli A, Gill IS, Desai MM, Moinzadeh A, Magi-Galluzzi C, Kaouk JH. Laparoscopic extended pelvic lymphadenectomy for bladder cancer: technique and initial outcomes. J Urol 2004; 172(5 part 1):1809-12. 42. Rassweiler J, Tsivian A, Kumar AV, et al. Oncological safety of laparoscopic surgery for urological malignancy: experience with more than 1,000 operations. J Urol 2003; 169(6):2072-2075. 43. Elbahnasy AM, Hoenig DM, Shalhav A, McDougall EM, Clayman RV. Laparoscopic staging of bladder tumor: concerns about port site metastases. J Endourol 1998; 12(1):55-59. 44. Bangma CH, Kirkels WJ, Chadha S, Schroder FH. Cutaneous metastasis following laparoscopic pelvic lymphadenectomy for prostatic carcinoma. J Urol 1995; 153(5):1635-1636.